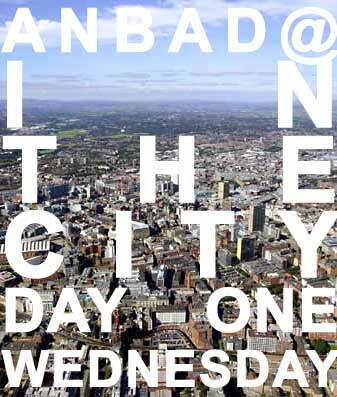 ANBAD is at In The City for the next three days. Getting up to speed with 2007’s latest trends, I’ll be liveblogging the events throughout the day, and then tweeting ever more incoherently during the gigs at night time. I’ll start by covering the first debate of the day: the sure-to-be-contentious Pay To Play? discussion, which wrestles with the new idea of bands paying for slots at gig venues. It starts at noon – so stick around. This liveblog should (i.e. ‘might’) update itself, but if you have difficulties, press F5. The full schedule for ITC is here. Despite delays at ITC, and technical hitches on ANBAD, the day was a thrill, as is any event when you get a bunch of enthusiasts in one place. Guy Garvey proved he could get a loving chuckle from any audience with a few well placed bon mots, and the co-creators of two of the world’s biggest new music behemoths proved likeable, friendly and normal – and people who have their eyes wide open to possibility and change. And that is what In The City is all about. Now the gigs begin – follow me and my thoughts via Twitter on @ANewBandADay. 17.00 The panel ends in the manner from which it was born – brash confidence and uncertainty. Who will fill the void left by NME, John Peel and other singular UK voices? No-one is sure. It seems that, in terms of music coverage at least, the multifarious blogs that have sprung up are covering a gap between the switchover. Where we’re switching to is less certain. Dev and Ryan from Hype Machine and Pitchfork are happy about events – it’s all working out for them, and will continue to – they backed the right horse. They’re also nice guys, so who could begrudge them their success? 16.10 Blogging in the USA has a hugely different role than in the UK. Also – Dev Hype Machine thinks that the fact that the UK music scene produces a disproportionate volume of musical content means that USA blogs will pick it up and they’ll get pushed harder than UK blogs. 15.57 Dave, Rawkblog: Blogging is starting to become mainstream and losing its edge as a result – a natural cycle that happened before with fanzines. 15.56 Sean from Drowned In Sound finally arrives! 15.55 Ryan, Pitchfork says that music blogs have to diversify – offer opinion pieces etc, not just an mp3 a day. 15.50 The panel list some blogs they like (ANBAD gets a mention! *Swoon*) but they all agree that they like blogs that don’t follow the herd. 15.48 Ryan, Pitchfork feels a close relationship with bloggers – they both try and get new music out there from the basis of personal preference. 15.30 Heavy delays at In The City – this conference on Blogging In The USA, featuring Sean from Drowned In Sound and people from Pitchfork and Hype Machine is apparently just about to start now. So the Pay-to-Play panel got heated near the end, as the polarising views finally emerged. But it took time. The overriding moderate opinion of ‘sometimes it’s OK, but then sometimes it’s bad’ seems to be more of an indicator of the state of flux of the music industry at the moment more than anything. The general consensus, as the panel winds down, is that this is a minefield. One one hand, pay-to-play offers a stage and a potential leg-up, and then on the other hand, the potential for being ripped off is huge. In Conclusion: don’t get duped. Guy Garvey again: It should not be the norm that bands – people – don’t get ripped off, which is often what pay-to-play means. Musician’s Union man: The union can respond to bands’ complaints by talking to venue owners. Question from the audience: Does Guy Garvey regret paying to play? Guy: Very much so, because he knows that promoters were ripping him off by promising the presence of A&R men, labels, etc., when actually there were none. #inthecity Chris Long from BBC Introducing says that P-T-P may be against your ideals, but it’s too simplistic to flat-out refuse to do it. A compromise is needed. Everyone, when starting out, has to give up something: time or money. But Guy also says that the system is open to unscrupulous promoters taking advantage of the bands. This seems quite a measured point of view. Answer: yes, the MU is still against Pay-to-Play, but thinks it’s OK under certain circumstances. The moderator, by the way, is from the Musician’s Union and is broadly outlining his stance on Pay-To-Play: he was anti- Pay-To-Play, but is he now? Posted on October 13, 2010 by Joe Sparrow. This entry was posted in Featured Articles, Headline. Bookmark the permalink. ← ANBAD @ In The City 2010!